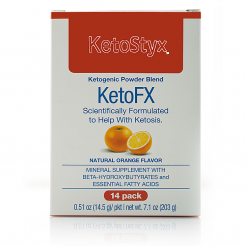 Put your body in fat burning mode in just minutes with our NEW Keto Styx, scientifically formulated to stimulate Ketosis. 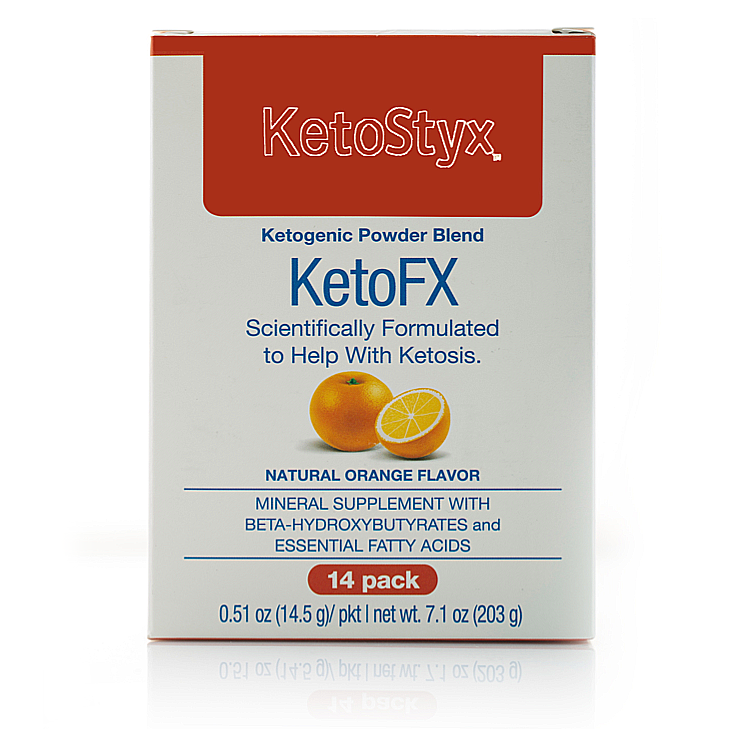 Our great tasting orange creamsicle and berry-flavored Styx provides long-lasting energy, mental clarity, and limits hunger, all without the sugar crash. Serving instructions: Tear open one stick packet at the perforation and pour the powder into 8 – 16 ounces of chilled water according to preference. Stir vigorously. Each serving provides 90 mg caffeine, less caffeine than one cup of coffee. Do not consume more than two servings at any one time. Too much caffeine may cause nervousness, irritability, sleeplessness, and,occasionally, rapid heart beat. Not recommended for use by children under 18 years of age. AS WITH ALL DIETARY SUPPLEMENTS, USERS OF THIS PRODUCT SHOULD CONSULT THEIR HEALTHCARE PROVIDER IF THEY ARE PREGNANT, LACTATING, OR USING PRESCRIPTION DRUGS.STORE AT ROOM TEMPERATURE (59ºF - 86ºF) AND IN A DRY PLACE.